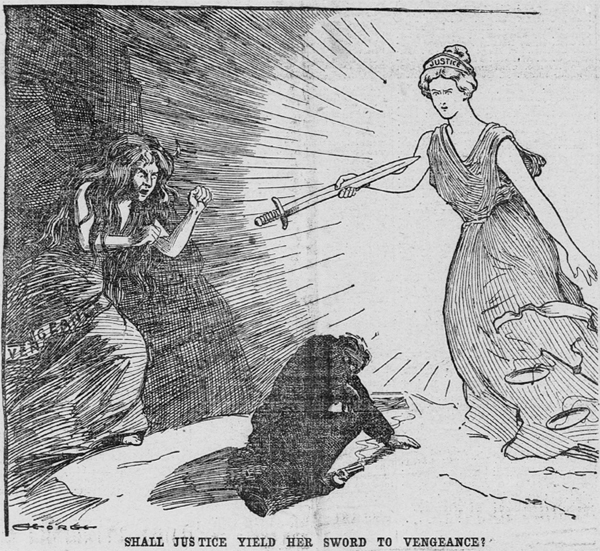 George, G. D. “Shall Justice Yield Her Sword to Vengeance?” St. Paul Globe 10 Sept. 1901 v24n253: p. 1. Leon Czolgosz (editorial cartoons); McKinley assassination (public response: editorial cartoons); law (editorial cartoons). Shall Justice Yield Her Sword to Vengeance?